I was born the day after Christmas. In fact, I was born at 2-something in the wee hours of the morning. Had I come any sooner, I would have been a Christmas baby. Every year growing up, and well into my 20s, my family would sort of roll the celebrations into one continuing party. Happy Birthday Jesus! Happy Birthday Sarah! This tradition roared on for many years. Until one year, it stopped. At least in the way I expected it to be every year. God had whispered into my older brother’s heart and led him to Virginia for an internship after dental school. There in the state that claims to be the "Mother of Presidents," he met his girlfriend, now wife, and decided to not come home for Christmas, nor my birthday. For the first time in 27 years, my constant partner in Christmas and birthday celebrations would not be in Oregon to join in the fun. My holiday expectations were shattered. I didn’t tell him at the time, but my heart ached. A piece home as it had been, was missing. For many during the holiday season, expectations go unfulfilled. Maybe you’ve recently been through a divorce. Perhaps you’ve lost a loved one. Your family cannot afford the Christmas traditions you’ve come to know and love each year. You have to work on Christmas Eve, Christmas Day, or the day after. All your relatives canceled on your holiday party last minute. You had to say goodbye to a furry friend. For all one knows, your family is celebrating in various parts of the country this year, never to be that nuclear unit again. 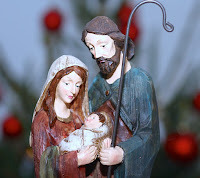 When holiday expectations go unfulfilled, I cannot help but think of dear Mary and Joseph, Jesus’s parents. I imagine Mary had dreamt about her wedding day, and the anticipation of children to come shortly thereafter. I imagine Joseph envisioned a life with Mary, one where he worked a steady job, provided for his family, and led an honorable life. Their expectations, much like ours, flew out the window. In Matthew 1:18, the Bible shares of Mary and Joseph being engaged. This was no normal engagement, as Mary “was found to be with child from the Holy Spirit.” Scandalous! So much so, Joseph wanted to throw in the towel and sneak away quietly. Thankfully, God knew and understood Joseph’s fears and told him via an angel in his dream that Mary had conceived from the Holy Spirit. Joseph was to have a son, and he was to call him Jesus, who was to save his people from their sins. The angel’s message fulfilled a prophecy from the Old Testament, “Behold, the virgin shall conceive and bear a son, and they shall call his name Immanuel” (Isaiah 7:14). As the birth of Jesus neared, Mary and Joseph were traveling in a small town called Bethlehem, where Joseph was from. They were to register here, as he was of the house and lineage of David. Then in the sleepy town of Bethlehem, Mary was laboring. She and Joseph were not able to obtain a conventional bed for the birth of their son. Their expectations for a cozy, clean birth, were upset by the arrival of their son in a barn, filled with animals. 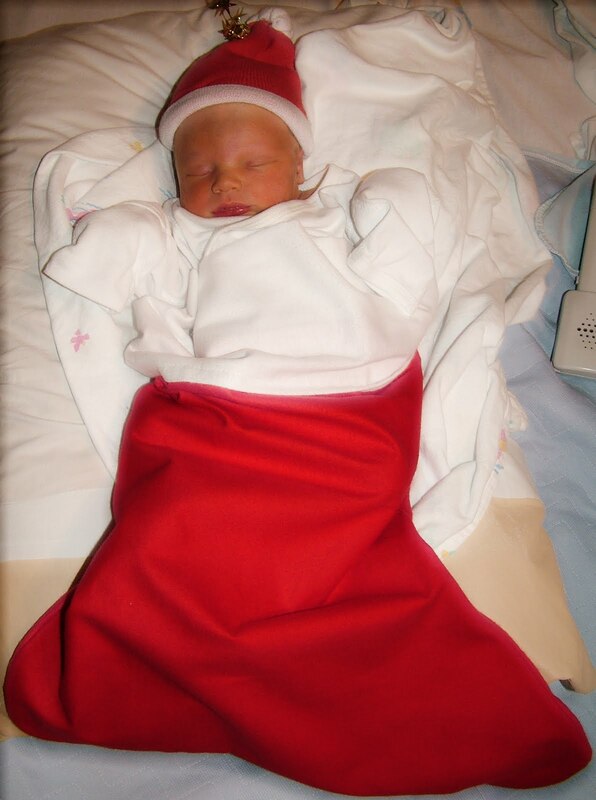 In Luke 2:7, it says “she gave birth to her firstborn son and wrapped him in swaddling cloths and laid him in a manger, because there was no place for them in the inn.” Mary didn’t get to shower after her long and laborsome birth story. But in her presence, there was a son like no other. One who would fulfill all expectations. The One who would be the King of Kings, Immanuel, Prince of Peace, Lord of Lords. When holiday expectations go unfulfilled, I know I can rest in the One who fulfilled expectations of everlasting hope, joy, peace, and love. Jesus, fully man, and fully God, came into this world humbly, and left this world to be cared for by His Holy Spirit. He will accomplish all that is written of Him. He will be our comforter, He will be our deliverer. If ever your heart is to be sad or forlorn this holiday season, cling to the Hope we have in Jesus! Chara is over at (in)courage today sharing hope. It was Christmas eve, impregnated with an importance that thankfully, didn’t visit annually. We all knew, that next Christmas, one of us would not be there, so we held tightly to the time gifted to us as we celebrated the birth of my grandma’s Savior, whom she would soon be meeting. 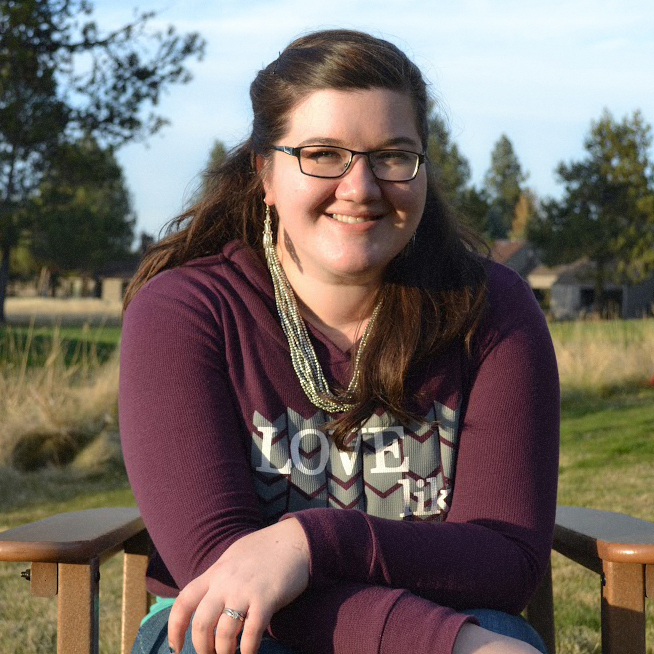 We gathered around the hospice bed draped with holiday quilts, and hugged her gently, trying not to disturb the tubes that helped her stay a little longer. We donned Santa hats, hummed joyful ditties, and took pictures in an attempt to capture our last Christmas together. Smells of the yuletide feast filled the house, in which my mother found as sanctuary when addiction stole my father away. My grandmother was a gentle woman, seasoned with the perfect amount of feistiness, and that final Christmas Eve she let it show. Not toward any of us, but against that vile disease that kept her from enjoying the delicacies of Christmas. After being fed intravenously for weeks because her frail body couldn’t handle the richness of food, she leaned toward my mother and declared, “I would like a piece of fudge.”...Continue reading at (in)courage. Sign up here to receive free daily encouragement from the writers of (in)courage, right in your inbox! Shiny lights and glittery things are spilling out of windows around the world as we prepare for Christmas. Even the stingiest of Christmas decor purists have begun to decorate. 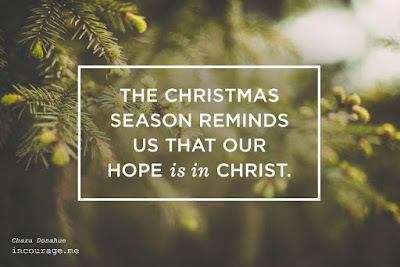 Others, like me, are turning up the Christmas music with a triumphant cheer because NO ONE can tell us any longer that it isn’t time to begin celebrating Jesus’ birthday. As I have been waiting for the Christmas season, I’ve been thinking about why I love the decorating part of Christmas so much. In the end, it comes down to the special items that are visual reminders that Jesus is the hope the world needs. When I pull out each piece from storage, I am reminded of long-ago Christmas’ and the stories of each nick-knack fill my heart. The headless shepherd who resides at my grandma’s house is one of my favorites. My most cherished Christmas tradition: Gluing on his head. Every year we pull out the now ragged box containing the brightly painted nativity from the 1970’s, complete with newspaper reused year after year from the first time it was gingerly wrapped and stored away. I remember reattaching that poor shepherd’s head with several kinds of glue as well as sweetened condensed milk. No luck; every year he still loses his head. We are completely unwilling to give up on the shepherd. He cannot be replaced! 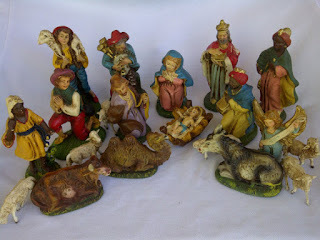 Though the paint is wearing, this nativity is one of the ways that my family cherished Jesus and retained that Christmas about Him. 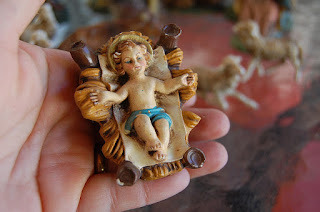 That nativity, set on the child size table in the corner of the entryway wasn’t shiny and isn’t new, but it produced wonder in my heart as a child. I loved that we got to play with it. It wasn’t so precious that it had to be high up on a shelf or protected from tiny hands. Jesus, Emmanuel, was God with us. Down at the level of a little child. This year I bought a nativity of my own, made of melamine to withstand time and be used over and over. The style is different but the goal the same. I started the wise men in the Kitchen to let them slowly make their way to discover Jesus. But sure enough, one of those wise men took a tumble when the littlest discovered them making their perilous journey across the desert of my countertop. He too, lost his head, but his sacrifice was worth it because it spurred questions from little voices. Who are these guys? Why are they going to Jesus? It’s time to pull out the sweetened condensed milk, carry on this tradition that has found us, and as we bind our wise man's head together we bond with each other. Each on our own trek to move closer, draw near, and discover where and who Jesus is. Chara is over at like-minded PRECARIOSITIES today as a guest writer discussing the heart behind internet ministry. The storm was raging when I felt the tug of an anchor I had long been drifting away from. I have always been a dreamer, pulled to passion, and willing to dive into deep waters —to my own detriment. When I was younger I had yet to learn the beauty of dreams , passion, and wonder, submitted and thriving under the protection of the greatest love ever known. Instead I chased worth and love as feeling instead of fact. Then I discovered the treasure, that in Christ those two things are forged together in the embers of His own glorious passion to create the key to freedom, healing, and everlasting hope. None of it rests on me; He carries it all. He gives me worth. He is love and I am His.